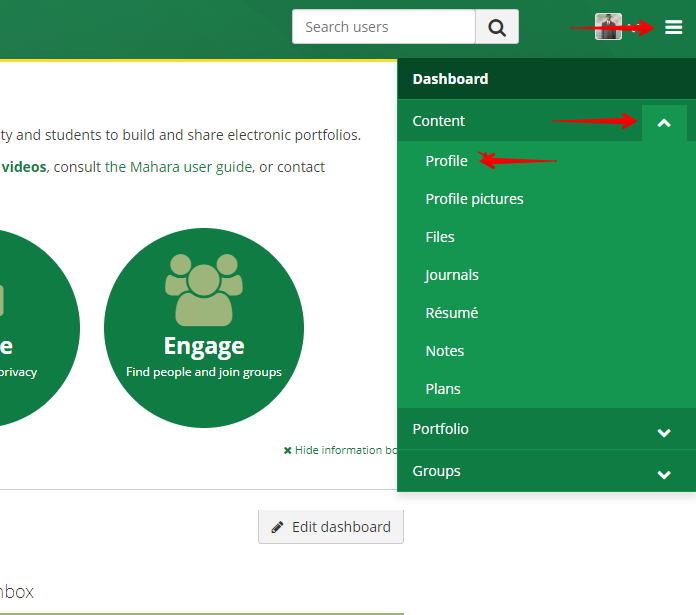 Eportfolio users can customize their profile on the system by entering a range of information about themselves. Basic profile information is visible to users throughout the site, on the user's profile page, and can additionally be added as content to additional pages and collections. To access the portfolio area, click on the top right navigation dropdown, open the Content section, and click on Profile. "First name": Populated from eClass. "Last name": Populated from eClass. "Display Name": Users who prefer to use a variation of their name can enter it here. "Email address": Populated from eClass. "Official website address": Optional field. 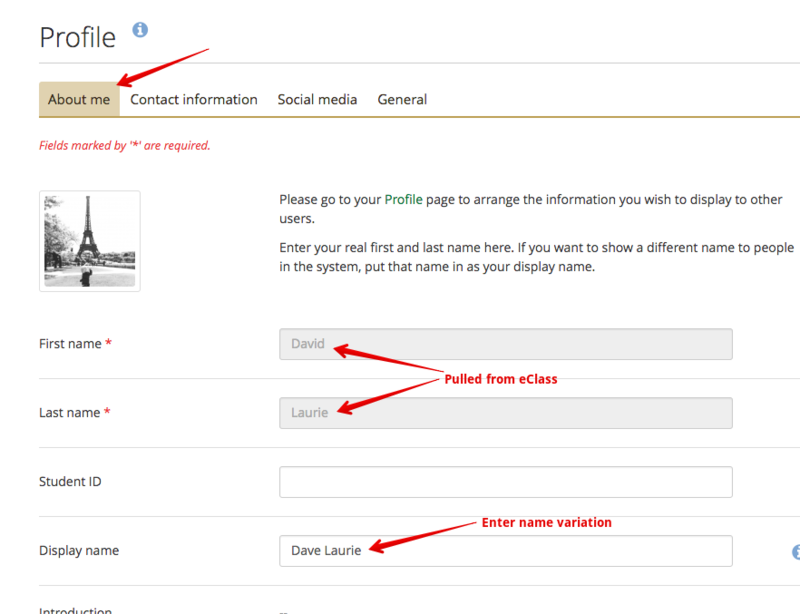 "Personal website address": Optional field.